Too often worship is seen as just the music, an onstage performance that puts the spotlight on the worship leader. But worship is fundamentally an other-centered, self-giving act of service. Worship properly directed to God for his glory also results in the Christlike formation and transformation of both worship leaders and congregants. 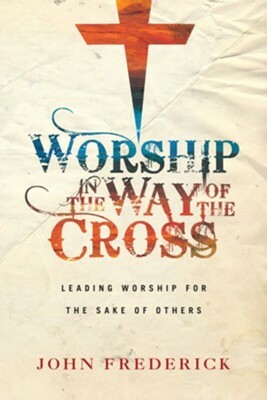 In Worship in the Way of the Cross, worship leader and biblical scholar John Frederick unpacks the shape of worship in the way of the cross, where leaders act not as lords but as servants. Combining biblical exposition and practical insights, he explores a cruciform theology of worship: as the cross demonstrates the nature of God, worship in the way of the cross transforms us into the image of God who is love. Thus worshipers and worship leaders alike can come to embody the other-centered humility of Christ. This paradigm has implications for how worship leaders and pastoral staff relate to one another, and for renewing the artistic output of the church. In cruciform worship, we encounter the Son of God and embody the love of God. Discover how in worship we can empty ourselves for the transformation of others. Too often worship is seen as just the music, an onstage performance that puts the spotlight on the worship leader. 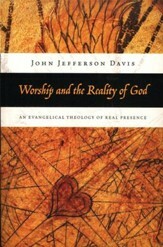 But worship is fundamentally an others-centered, self-giving act of service. Worship properly directed to God for his glory also results in the Christlike formation and transformation of both worship leaders and congregants. Worship leader and biblical scholar John Frederick unpacks the shape of worship in the way of the cross, where leaders act not as lords but as servants. With a mix of biblical exposition and practical insights, he explores a cruciform theology of worship: as the cross demonstrates the nature of God, worship in the way of the cross transforms us into the image of God who is love. Thus worshipers and worship leaders alike can come to embody the other-centered humility of Christ. This paradigm has implications for how worship leaders and pastoral staff relate to one another, and for renewing the artistic output of the church. In cruciform worship, we encounter the Son of God and embody the love of God. Discover how in worship we can empty ourselves for the transformation of others. John Frederick (PhD, St. Andrews) is assistant professor and worship arts coordinator at Grand Canyon University in Phoenix, Arizona. He is the coeditor of and . He is also a trained musician, composer, songwriter, and worship leader whose music has been featured on the soundtrack of and the worship album . "In this readable yet theologically rich book, John Frederick sharply challenges numerous misguided contemporary understandings of worship, the church, and the Christian life. He replaces them with a vision of cross-shaped worship and its result: communities of Christlike disciples living and loving for the sake of the world. 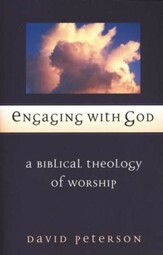 Pastors, worship leaders, and all concerned about worship need to engage this book seriously." 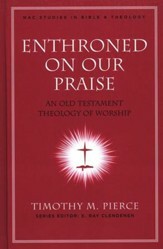 "This is a book the American church has been hungering for for a very long time. It is a wonderfully balanced and biblical engagement with contemporary culture and the church. Most especially, it bases its understanding of worship on the cross, the only lens through which anything can be comprehended. I believe it will deeply impact the worship life of any church that takes the time to engage with it." " Worship in the Way of the Cross offers insights into the importance of story and affirms the congregational community as a matrix for discipleship. 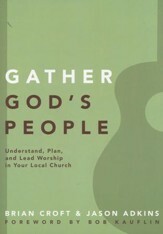 The strength of the book is Frederick's case for the church as a place for grace-filled congregational accountability. He fosters critical thinking and challenges worship leaders to elevate excellence and service to the congregation as a countercultural witness in the world." "In Worship in the Way of the Cross, John Frederick explores paradigm-shifting biblical and theological concepts related to worship and the church. Yet he does not merely remain in the abstract realm of ideas; he puts these truths to action by providing practical insights that challenge us to become agents of reconciliation in the world through worship. The result is a powerful clarion call to worship leaders: embrace love, embody love, be loved, and transform the world through love." I'm the author/artist and I want to review Worship in the Way of the Cross: Leading Worship for the Sake of Others.